Advertising board of Hajime Restaurant states the price of buttet and menu, Bangkok, Thailand. 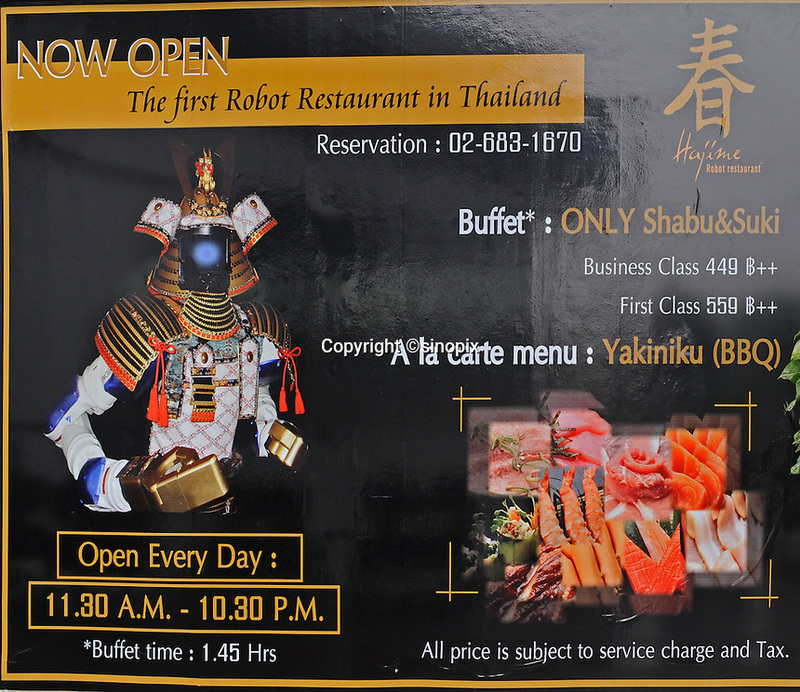 Hajime is a Japanese restaurant in Thailand, has samurai style robot serving food to the diners and even do a dance session to entertain guests. This robot are made in Japan and costed about 86,600,000 yen (1,063,717USD). Customers order food in the Hajime Restaurant from touch panel and Samurai robot will bring ordered food to their table.